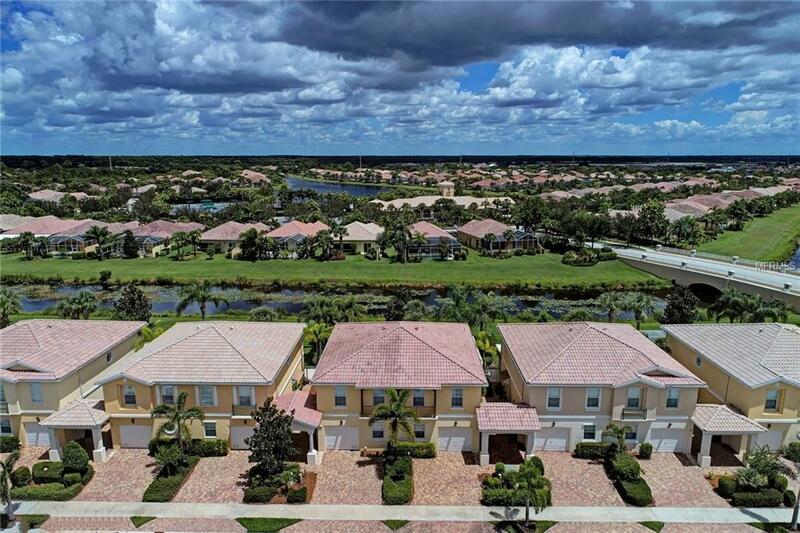 Enjoy an active, care-free lifestyle in the resort-style neighborhood of The Isles of Sarasota on Palmer Ranch. This poured concrete, 3 bedroom, 2 and a half bath townhome has a peaceful water view of South Creek. Carpet on the first floor along with the stairs and second floor hallway has been replaced with luxury vinyl. The light and bright kitchen features corian counters, raised panel cabinets and light appliances. This Divosta-built home comes with hurricane shutters included. All bedrooms are on the second level. Make new friends at the community center which offers multiple activities. Enjoy tennis, bocce, pickle-ball, basketball, the state-of-the-art fitness center, tot-lot and the geo-thermally heated community pool overlooking a picturesque lake. All this and minutes to fine dining, golfing, shopping, Legacy Trail, doctors, Siesta Key Beach and the many cultural venues of downtown Sarasota. Additional Lease Restrictions Application. See Manager Will Crosely.